We're quite impressed at the SL 63 AMG's ride quality, given its performance envelope. Don't let comfort be a reason to opt for the slightly softer SL 550 instead. 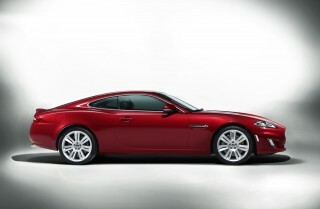 A powerful near-exotic luxury convertible, or a grand tourer with German precision? The 2012 Mercedes-Benz SL Class is both. Now down to two models and a few more months on the market, the Mercedes-Benz SL Class folding-hardtop convertible makes a grand exit, still every bit as lovely and talented as when it made its debut almost a decade ago. 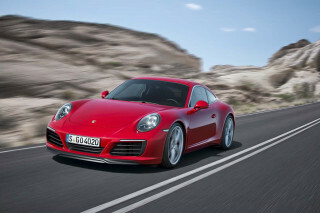 A new SL Class is on the way for the 2013 model year, but in truth the current car is one that could live on a while longer. It's a stupendous piece of engineering, with timeless looks and performance that ranges from strong to stellar, depending on which V-8 engine is underhood. Given the choice between the two SLs, we'd always opt for the SL 63 AMG, for its time-warping acceleration and its multi-contour seats and an amazingly tractable ride. But even those who slow things down a little in the SL 550 won't lack for a big V-8 burble, or for a huge array of standard features. And either way, there's the simple but brilliant AIRSCARF, which deserves some kind of Nobel of its own. Anything that adds a few days or weeks to summer is an inspiration all its own. It's a little early to tell, but the 2012 Mercedes-Benz SL Class has a style that we could call timeless one day. It hasn't been lifted, nipped or tucked since the 2009 model year, but the Mercedes-Benz SL Class still rules cougartown. Mercedes is set to replace it with a young new model, but the current SL Class is still so very appealing. It doesn't belt out bawdy sportscar themes like the Jaguar XK, and it's anything but rakish, but the SL has timeless proportions and the same kind of minimal detail that makes Chanel suits look good a half-century later. The nose and flanks now look a little more like the E-Class and SLS AMG, thanks to a stint in the styling crisper two years ago. AMG versions wear deeper front air dams, a more pronounced grille, a hood with twin power bulges, and side and rear-end skirts for a distinct look. Now that we've already seen the 2013 model--it's taller in front, like those new Benz machines--we can better appreciate this SL's relative athleticism. 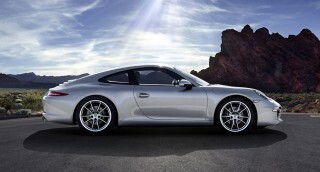 We'll miss this shape for its tidy, reserved look, one that's equally attractive with the top down, or when it's raised. The cabin saw its last update in 2009, too, but it could soldier on for years. It's a muted place to work, filled and trimmed out with wood, leather and metallic trim that's cool to the touch and warm to the eyes. There are many, many, many buttons and bright LCD readouts in the gauges, and they disrupt the quiet mood somewhat, but the overall impression in this cockpit is one of exquisite quality. Well-tuned driving dynamics and near-exotic performance are hallmarks of the swan-song 2012 Mercedes-Benz SL Class. Now missing its V-12-powered SL 600 and SL 65 AMG models, the 2012 Mercedes-Benz SL Class lineup still has a huge performance reach, thanks to a pair of wonderfully smooth, urgently powerful V-8 engines. The lesser of two pricetags, the SL 550 sports a 5.5-liter engine making 382 horsepower that's sent to the rear wheels via a paddle-shifted seven-speed automatic. This powertrain's a common thread uniting much of the Mercedes lineup, and for good reason. 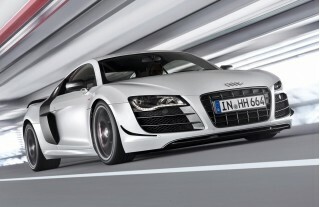 It doles up tart performance, with 0-60 mph times of less than six seconds promised, along with a top speed of 155 mph. Over the years, we've wondered why exactly anyone wanted the rev-resistant V-12 cars: the only drivers who will miss the extra cylinders here are the most badge-conscious of the well-heeled. Of course, if you're really rich, not just reality-TV rich, then you'll think the SL 63 AMG is the base car. Well done. 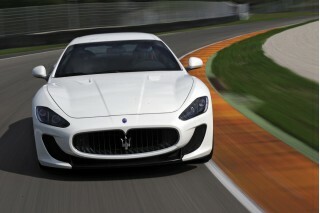 This version thunders along behind the blast of power triggered by a 6.2-liter V-8, AMG's first ground-up powerplant. As it does in the SLS gullwing and roadster, it howls through a 518-hp power peak, and teams up with an automated-manual seven-speed transmission. AMG says this one's up for a 0-60 mph rocket ride of less than 4.8 seconds. There's a distinct difference between the SL 550 and the AMG SL, though all now have the Direct Steer system that quickens the car's response as the steering wheel moves farther off-center. The AMG SLs have much tauter tuning and faster steering, and even they have an absorbent, comfortable ride. Credit for that achievement goes to Active Body Control (ABC), a suspension setup that lets drivers choose comfort, normal, and sport driving modes. It's not needlessly complex with separate selections for steering and throttle, as are some other driver-configurable systems like Audi's Drive Select. A pair of adults and a pair of soft-sided bags are all the 2012 Mercedes-Benz SL Class cares to carry--though they're toted in exquisite fashion. 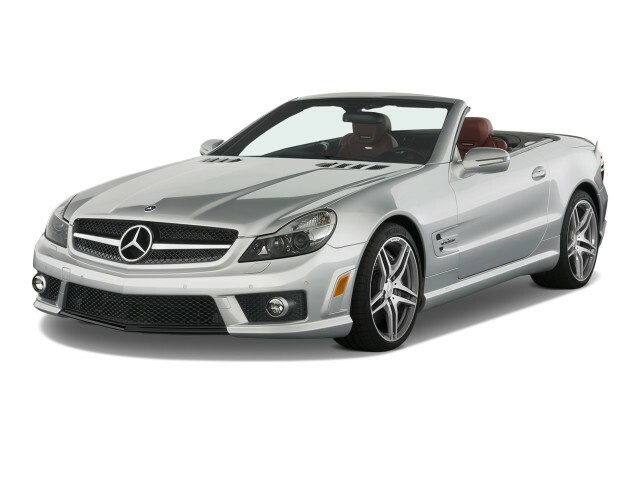 A plush, roomy interior makes for cozy long-distance touring in the 2012 Mercedes-Benz SL Class hardtop convertibles. The current-generation SL has always been one of the more comfortable convertibles in its pricey class. Wood, leather, and aluminum trim are balanced out in the handsome cockpit in a warm way. The base seats are some of the finest in the class, with all kinds of built-in power adjustments, massaging and heating functions. For an added dose of one-percenter coddling, there are multi-contour buckets that use air bladders to inflate and deflate their seat bolsters dynamically--they tighten up in corners, and relax in cruising mode. We've always found great leg and head room inside the SL, even with the hardtop convertible roof raised. Each of our team of six-footers fits inside easily, with space behind the seatbacks and the trunk to spare. Those storage extras come in handy in the SL, since the trunk itself is marginally useful. When the hardtop is folded down and away, the SL Class has only 7.2 cubic feet of space behind. It's possible to expand it to about 10 cubic feet of cargo space by raising the roof and a flexible cargo blocker in the trunk, but that's still just enough for a couple of soft-sided bags. The 2012 Mercedes-Benz SL Class earns our respect for safety history and technology, but it hasn't been crash-tested. The Mercedes SL roadsters have a storied safety reputation behind them. It's somewhat unclear, though, how they fare in accidents, since neither the Insurance Institute for Highway Safety (IIHS) nor the National Highway Traffic Safety Administration (NHTSA) has tested the high-dollar convertibles. Mercedes' track record for providing top-tier safety is in full evidence here though. All SL Class roadsters have dual front and side airbags, the latter of which are larger than normal to extend rollover protection in the absence of a tougher roof structure. The SL also has a driver-side knee airbag, and a pop-up roll bar that deploys automatically in the event of a rollover. On the electronic side, the SL comes with the usual anti-lock brakes, traction and stability control. The SL 63 AMG has its own flavor of stability control, with performance programming that lets it spin its wheels a bit more in track driving. The SL also comes with standard adaptive cruise control and parking sensors. However, the latest technology--a rearview camera, a lane-departure warning system, and blind-spot warning systems--are not available. Mercedes' TeleAid emergency telematics system, with automatic collision notification, also is standard. Luxury and infotainment features abound in the 2012 Mercedes-Benz SL Class, but some are better executed than others. Since a new SL Class is in the pipeline for the 2013 model year, Mercedes-Benz has trimmed this year's lineup to just two models. Either one is as plushly outfitted as ever, but some of the features are a little more logical on first blush than others. This year, the base SL Class roadster is the SL 550. It comes standard with leather upholstery; 18-inch wheels; power seats; a telescoping steering wheel; dual-zone climate control; an AM/FM/CD/DVD changer with iPod integration, Harman Kardon surround sound, Sirius Satellite Radio and real-time traffic, and HD Radio; Bluetooth; and DVD navigation. Last year, Mercedes added standard real-time traffic and HD Radio to the bundle. The SL 63 AMG gets all of these features plus special interior trim along with its performance add-ons. Among all the electronic fancies in the SL Class, it's the COMAND controller that will require the most study. COMAND uses a knob controller, buttons and an LCD screen to direct navigation, climate and audio functions--like similar systems from Audi and BMW--while the driver keeps eyes on the road. In this case, the knob acts like a toggle switch, and doesn't rotate, which makes some commands and actions counterintuitive. You'll find yourself making several clicks to access simple functions like a seek through radio stations. Some steering-wheel controls reduce the amount of time you spend on the toggle control, and with some practice, it becomes easier to operate, if not truly fluid. Multicontour seats are optional on the SL 550, and standard on the SL 63 AMG. Air bladders inflate and deflate as you're cornering, to provide more padding. They're a bit distracting, but fantastically supportive. We're also smitten with the AIRSCARF system, which blows warm air at neck level when the top's lowered, too. The Benz SL's roof folds out of sight, and can be fitted with a panoramic glass panel. The "standard" model is a bit more frugal, but neither 2012 Mercedes-Benz SL Class gets much love from the EPA on gas mileage. With drama-free, high-speed cruising by the Euro-load, the Benz SL roadsters earn their performance keep. Still, you'll want to note their yachtlike fuel economy before you buy, if only to plan frequent driving breaks. Of the two, the SL 550 is the more frugal version. We use that term lightly: the EPA scores it at 14/22 mpg, which is lower than you'll see in a Jaguar XK convertible, or even in a HEMI-powered Dodge Challenger or a Nissan GT-R.
With the SL 63 AMG, the numbers are considerably lower. 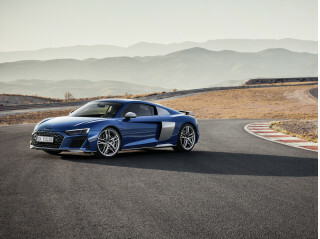 The combination of a V-8 engine and seven-speed automatic can only muster 12/19 mpg from the EPA, and that's lower than Benz' own SLS AMG or an Audi R8 V-10 Spyder.